Synthetic biology (synbio) has started to change how we produce food in small ways and is poised to bring about very large changes as the technology matures. The field is fairly broadly defined. It covers current applications like genetically modifying yeasts and algae to convert a substrate like sugar into valuable compounds like vanillin (the compound that give vanilla it flavor and aroma) and ingredients for medicines. But the cutting edge of synthetic biology isn’t just genetically engineering algae and yeasts to produce useful compounds; it’s designing and printing genes from scratch, even multiple genes organized into plasmids (clusters of genes that perform a task) that can tackle complex problems. This video provides a great primer on where the technology is now and how it works. In effect, synbio attempts to create standardized components that can be used in useful and predictable way as building blocks. The implications for the food system are deep and complicated. These are truly disruptive technologies. Some disruptions will be social and fairly easy to observe and predict. Other disruptions will be subtler and will be far harder to anticipate and plan for, or even recognize. Many of these changes such as better medicines and crops that require little added fertilizer will likely bring great benefits, but with any technology the benefits come with risks. Assessing these risks will take some clear thinking, but as a society we have barely started to grapple with genetic engineering technologies that are already two decades old and evolving fast. If we want make good choices about what we collectively choose to do, we need to get up to speed with a technology that is galloping ahead faster than the general public and even most scientists can keep up. In May, Stephanie Strom did a report in the New York Times on synthetic biology that looked at ingredients used in products produced by yeasts or algae that have been genetically engineered for the job. I see two major implications here. The lead example Strom gave was an algae oil that is replacing palm kernel oil. The environmental benefits of this could be significant as palm oil production is really hard on the rainforests where it is sourced. Finding sustainable sources of palm oil or halting palm oil production tops many environmentalist’s to-do lists. The company Ecover has begun using a palm oil replacement produced by algae genetically engineered for the purpose. Unilever is widely lauded by environmental groups for its commitment to lowering the impacts of its production significantly, and a leader in removing sourcing sustainable palm oil. Unilever recently announced that it was using algae oil made by a company called Solazyme in Lux, a popular soap. Not every company has felt so comfortable publicizing its embrace of this new technology. We are increasingly entering an era in which the gap between technology and the public’s understanding and comfort with technology is so large that not all companies believe they can be transparent about even benign processes. Environmental groups are already demanding labeling and transparency of synbio ingredients, even when the ingredients are chemically identical to traditional ingredients. While some ingredients produced by this new technique are sought for their lower environmental impact, many more will be because of cost. In many cases this will raise thorny socio-economic issues. Synbio will be used, for some time to come, primarily to produce expensive ingredients that are used in small quantities, like medicinal compounds or spices. In both cases these ingredients are expensive because they are hard to grow and grow in remote areas of the developing world where infrastructure can be scarce and local ecosystems can be vulnerable. Shifting from local production to synbio production can raise some thorny issues. One product that synbio is being used to produce is vanillin, the compound that gives vanilla its taste and aroma. Farmed vanilla is expensive. It comes from an orchid that grows in rainforest environments like Madagascar. Often for scarce, expensive ingredients like vanilla, production is in the developing world, and production of a single high value crop like vanilla or cinnamon is the only game in town. Significant investments have been made to create the infrastructure for an export market. Now along comes synbio and that is undercut overnight. In the case of vanilla production, environmentalists fear that a collapse of the vanilla market could lead to deforestation as the rainforest loses its value as source for vanilla production and is cleared for a cash crop like soy. Perversely, producing replacements for these expensive ingredients will more often than not end up unraveling the livelihoods of farmers in the developing world, where the infrastructure for production and export has been painstakingly built. Production and profits will shift to urban areas that already have more opportunities. Every technology has winners and losers. That needs to be taken into account as we move forward. Another looming concern is a substantial loss of crop diversity as we shift to greater production of ingredients by way of vats of yeast that require massive amounts of sugar as fuel and raw material. Instead of growing hundreds of different specialized crops, we move further towards relying on corn, beets and cane. To complicate matters further as we grapple with the socio-economic implications of synbio, regulatory implications require our attention. Some products already being produced using synthetic biology are covered by existing rules for genetic engineering; others are not. 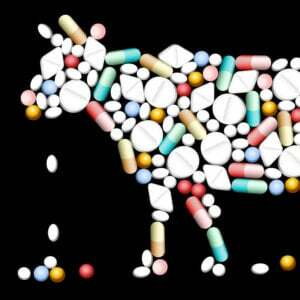 Some need little oversight, as they are simply ingredients that we already use, just produced in a different and predictable way, but others, especially down the road, will be more novel and have challenging implications. A recent piece in the environmental magazine Ensia by Josie Garthwaite examined some of the more radical applications of the emerging technology. 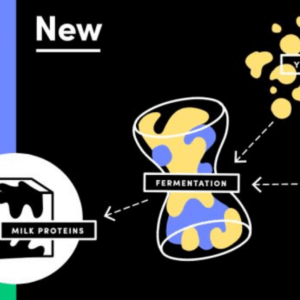 A startup called Muufri, for example, is working on an animal-free milk product; a crowd-funded group of “biohackers” collaborating in community labs in the Bay Area aims to create a vegan cheese; and the Swiss company Evolva is using synthetic biology to develop saffron, vanillin and stevia. Other companies, such as Solazyme, are engineering microalgae to produce algal “butter,” protein-rich flour, and a vegan protein. And in academia, research is under way for clusters of synthesized genes to eventually be inserted directly into plants or into microbes in soil and roots that affect plant growth. Nitrogen fixing is a dastardly tough nut to crack, partly because photosynthesis produces oxygen that interferes with a component of nitrogen fixation. This sets photosynthesis and nitrogen fixation at odds with each other. Himadri Pakrasi, director of the International Center for Advanced Renewable Energy and Sustainability at Washington University in St. Louis is leading a team that is taking that on. They are working with a bacterium that switches the two on and off for day and night. This is accomplished by some three dozen genes, scattered throughout the bacterium’s genome. Pakrasi’s team has taken these genes and organized them into a suite, a plasmid, that they are now importing into related bacteria that do photosynthesis, but not nitrogen fixation. This is made possible by the fact that they can purchase individual genes for as little as $300 from DNA makers who print and ship frozen DNA made to order. Now, if they can figure out how to get the plasmid to interact with the rest of the bacteria’s DNA, they will be able to do it in with plants. The impact on agriculture could be huge. Developing world farmers would see yields increase massively, because fertilizers are too expensive and first world farmers would be able to forgo expensive fertilizers that are one of the major environmental impacts of agriculture, contributing to greenhouse gas emissions and polluting lakes, bays and gulfs with excess nitrogen. The implications of these newer genetic techniques for breeding are less clear. The upside is easy to see. The downside, a little harder. Traditional genetic engineering introduces a single, well-understood trait into a crop from some other “natural” source and current commercialized synbio projects engineer algae and yeasts into produce compounds we currently find in nature. 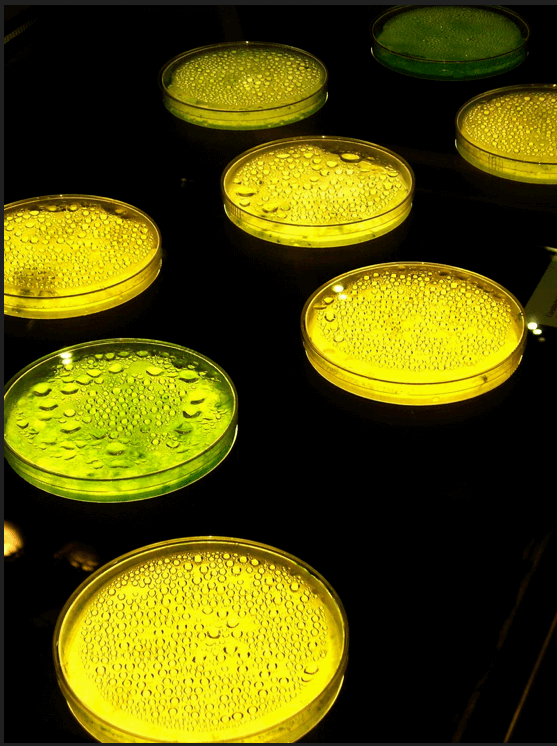 What’s next for synbio–manipulating DNA at a much more basic level–raises more questions. The flip side of more powerful tools is more powerful consequences when something goes wrong. The flip side of revolutionary creativity is catastrophic unintended consequences. The more variables we change, the greater the unpredictability. None of which should discourage us from pursuing this technology, but as Kenrick Venzina explained on the GLP just the other day, the ethical and regulatory framework for synthetic biology really isn’t quite in place even as the field makes galloping strides in what it can accomplish. Designing organisms from scratch and creating them from whole cloth is rapidly approaching the realm of possibility. One of the things that I’ve come to realize about genetic engineering is that it makes explicit the responsibility for our actions that we’ve borne all along but haven’t never quite owned up to or often even been aware of. 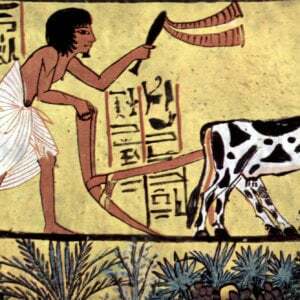 While traditional crop breeding left us some ethical wiggle room, the explicitness of choosing a single gene to achieve exactly what we intend removes any illusion that we aren’t responsible for our actions. I sometimes wonder if it’s that explicitness, and not the thought of unintended consequences, which people really find disquieting about this technological moment. Yet, humans have been engineering the world to our own specifications since we made the first tool. We just haven’t always held ourselves responsible for the consequences of changes we make. This is because the cause and effect was less clear, but more importantly, our level of intentionality was far less granular. Designing DNA from scratch and organizing into organisms that we dream up from whole cloth is about as grand and granular as you can imagine at this point. As the public struggles to wrap its mind around the idea of introducing a gene into corn to produce a pesticide, as a society, we are woefully and unevenly prepared to have a civic conversation about how to wield this new responsibility. The conversation is much easier when it comes to using these new technologies to produce medicines or to clean up industrial waste. In those realms, we expect to be driving the bus. We readily accept that rewards come with risk and that if we want the outcomes we desire, then we have bend the world to our will and take responsibility for our actions. When it comes to food and agriculture, the ethical concerns are deeper. We take comfort in the serendipity of nature (while forgetting that nature would just as soon eat us instead) and balk at the intrusions of technology and commerce into our food system. Food is incredibly personal. It binds us socially, and we put it into our bodies to sustain us. Fire and hearth have a deep, primal, sentimental pull. They should. 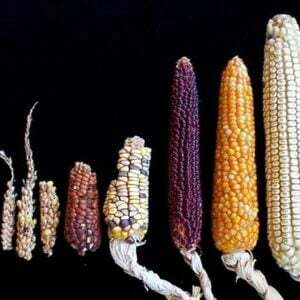 Far longer than 12,000 years or so that we’ve been changing the genetics of our food through agriculture and selective breeding, we’ve been changing our food on the molecular level beginning 250,000 years ago when we started cooking our food with fire. We’ve been at this a long time, we are just starting to figure out how to take responsibility. If we are going to decide how we want to use this new technology as a society, we need to move the conversation ahead much more quickly.